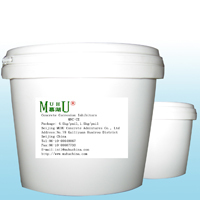 Concrete Floor Hardener - MUHU (China) Co., Ltd. Concrete floor hardener is a pre-blended, non-metallic floor hardener which provides a durable, high strength, long wearing surface for any concrete floor. Specially blended natural aggregates, Portland cement and plasticizing agents assure easy trowelling and a dense, hard concrete surface. Concrete floor hardener is recommended for interior and exterior concrete floor surfaces where heavy traffic and high rates of abrasion, impact and loading is expected. Typical applications include parking structures, manufacturing plants, warehouses, schools, loading docks, etc. Concrete floor hardener reduces dusting and maintenance costs, providing an easy to clean surface. Concrete floor hardener should be applied in two equal applications (shakes), ensuring even distribution. First Shake: Once the concrete is firm enough to support a worker and equipment and no bleed water is present, power float the entire area, bringing sufficient moisture to the surface. Apply the first shake of concrete floor hardener, spreading evenly by hand. A straight edge may be used to assist spreading. When concrete floor hardener becomes dampened, power float the shake into the base slab surface. Avoid excessive floating which may bury the hardener. Second Shake: Apply second shake immediately after initial floating. Spread shake evenly and repeat a final power float. Hand floating is suitable for smaller areas. Trowelling: Machine or hand trowel the surface to provide a smooth, uniform surface. The desired finish texture may be altered with various trowelling/floating techniques. Curing and Sealing: Curing concrete floor hardener is recommended at all times, using either moist curing techniques or conventional curing compounds. Moist curing is not recommended with coloured floor hardener, membrane curing and sealing compounds may be applied. Temperature: concrete floor hardener can be placed in a wide range of temperatures, from 5-30 degree C(41-90℉). If space heaters are used, they must be properly vented to avoid concrete surface damage due to carbonation. The data outlined below is representative of typical values achievable under controlled laboratory conditions. Results obtained in the field may vary from those stated. Concrete floor hardener is packaged in 30kg tripled-lined paper bags. 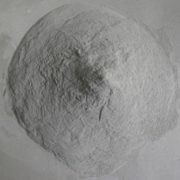 All Basalite Dry Mix can be custom packaged to suit specific project requirements. Concrete floor hardener contains Portland cement and other carefully selected additives. Normal safety wear such as rubber gloves, dust mask and safety glasses, used to handle conventional cement-based products, should be worn.